I'm not much of a sports watcher, but somehow the majority of my girlfriends are. They all have NFL teams that they follow. From time to time, I will join them in watching a game, but it's not with great enthusiasm. Not only do I prefer a good hike or yoga class on a Sunday morning, but I also want to start the day with a good meal. Decent food and football don't usually go together, but things could be changing with the opening of Surfside Restaurant Venice Beach. Surfside is right near the Venice Beach sign and the ocean. It's a big space with a dedicated bar on one side, additional loft space on an open 2nd floor, and a sit-down restaurant on the other side. There are flat screen TVs on all the walls so you can catch your favorite game just about anywhere you sit. Since the space is two stories, it's light and bright. There's exposed brick behind the TVs for that hip LA look. Grab a high top table under a TV for a group, or take a low top table in the back for a spot you might be able to talk to your friends. Luckily for me, there's a better-than-most bar menu at Surfside. Appetizers do have usual suspects like nachos, wings (with a bone-in and boneless options, which is nice), but then they also have Mexican pork skewers with slow roasted pork belly, chili lime spice, and habanero pico de gallo. 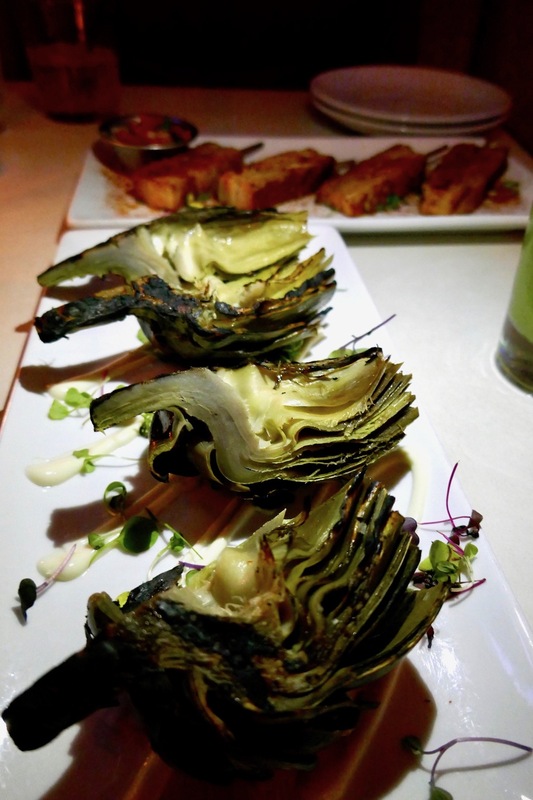 You can also get street corn or brussels sprouts, or really nice grilled artichokes. Two halves are served with a lemon aioli dipping sauce. It's finger licking good. There's a range of burgers that include beef, turkey, and chicken, but then there's also grilled veggie with squash, eggplant and pesto, and a tempeh, lentil, walnut vegan patty. 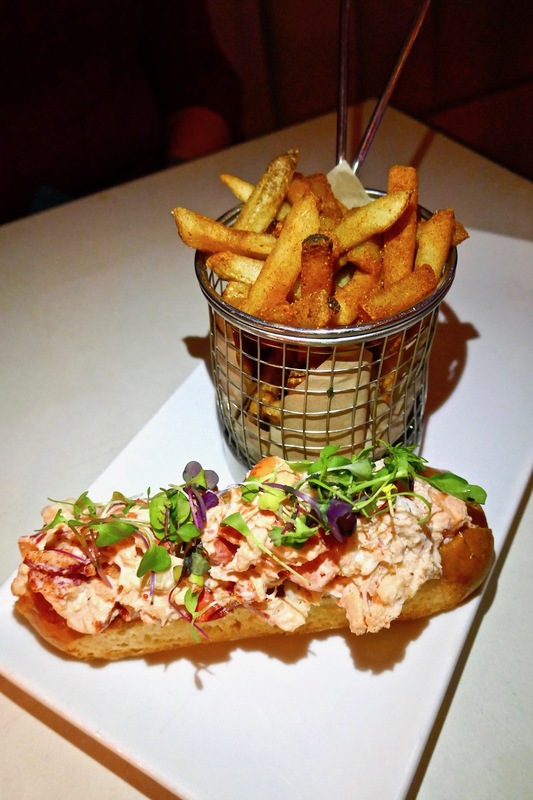 The lobster roll has large chunks of fresh cold water Canadian Lobster with a certified sustainable seafood stamp of approval, just like the fish tacos and fish and chips. I love the Old Bay spices on the lobster. it adds a nice zip. Bowl lovers will be happy at the selection of salads, grain bowls and mixes like the veggie stirfry bowl - enough to feed two! With vegan, gluten free, and paleo options, there's something for everyone at Surfside. It's one place I'll be happy to return to watch a game, or simply enjoy a casual, beachside meal.